A man and his daughter were rescued from a Snowdonia mountain after getting stuck on a scrambling route. 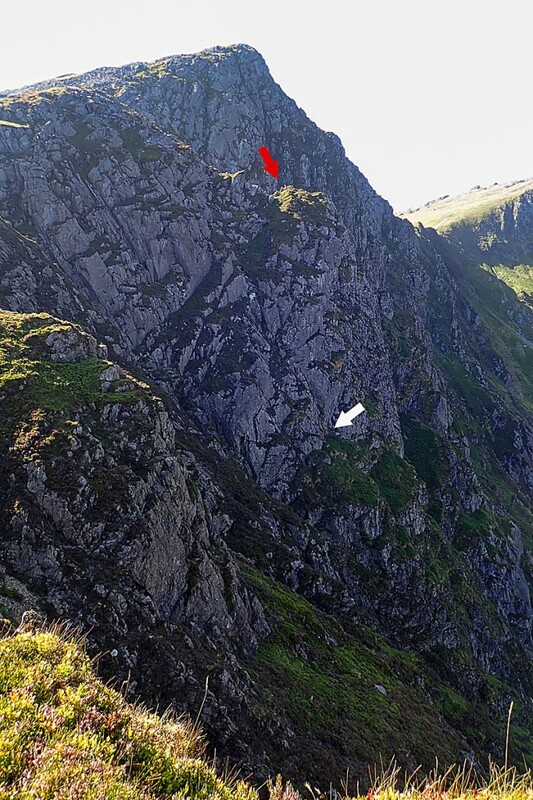 Aberdyfi Search and Rescue Team spent eight hours bringing the pair to safety from Cadair Idris on Sunday. The team was alerted about 2.20pm after the man and his 13-year-old daughter became cragfast on Pencoed Pillar. A team spokesperson said they set out to scramble up the rocks, but their route became increasingly challenging until, about two-thirds of the way up their ascent, they were unable to move either up or down. The spokesperson said: “Given the age of the child and the challenges of the location, a request for assistance was placed with the Coastguard Helicopter R936. “Already airborne for training, the aircraft was quickly on scene, but having visually located the pair, and given that they were not in any immediate danger, it was considered that a winch rescue was too risky an option. “Instead, the aircraft picked up four team volunteers and crag-rescue equipment and flew them to Pencoed Pillar to start rigging the crag for a rescue. R936 then left the scene to refuel and on return a further 10 mountain rescue volunteers along with more technical kit was uplifted to the crag top. “Having established anchors and belay positions, a rescuer was lowered to the waiting casualty party. The two climbers were raised to the belay position, then a short scramble took them to the Minffordd Path at the top of Pencoed. The last rescuers left the mountain about 10.20pm. Team volunteer Graham O’Hanlon, who helped co-ordinate the eight-hour operation to reach the pair, said: “Within the team are groups of people who choose to specialise, through interest and personal skill, in particular areas of rescue, most notably swiftwater rescue and technical rope rescue. “This involves extra training beyond normal team duties in order to operate in the complex and hazardous environments that each discipline demands. “Neither swiftwater rescue nor rope rescue is a common one for our team, but these people need to be able to act quickly and without error when their services are demanded.